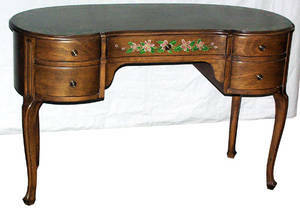 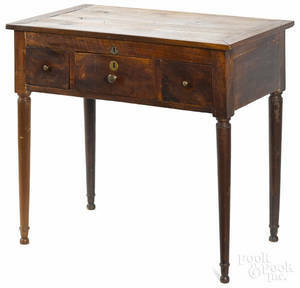 Small vanity/dressing table with inlaid floral decoration on table top. 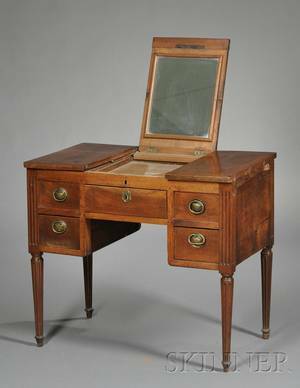 Hinged lift top with mirrored interior. 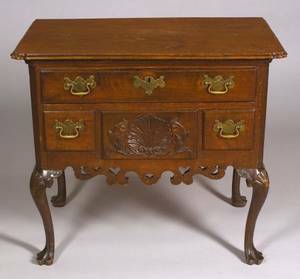 Height 28.5 inches, width 19.5 inches, depth 14.5 inches. 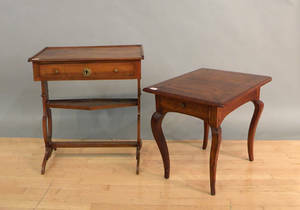 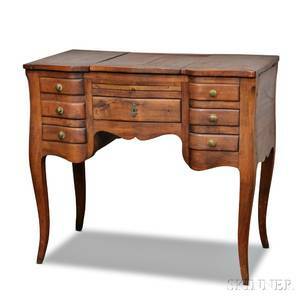 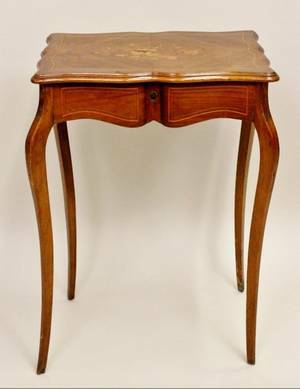 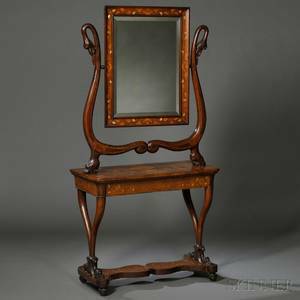 Walnut dressing table 19th c.